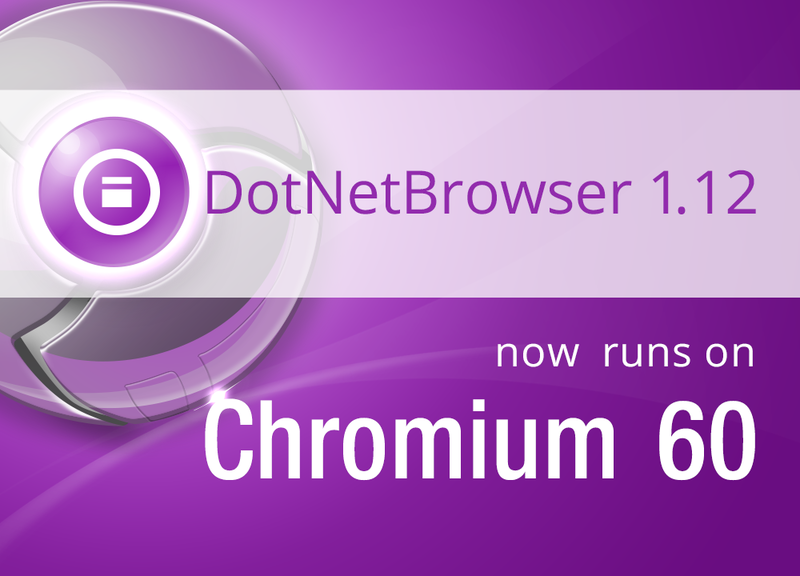 We're happy to announce the release of the brand new DotNetBrowser 1.12, running on Chromium 60.0.3112.113! To make things even better, we have extended this release with sufficient number of new features and improvements, and polished out some issues. Have a look at the full list of new functions on the DotNetBrowser Release Notes page or download the new version right away from the product page. Your thoughts and suggestions are always welcome under #dotnetbrowser tag on Stack Overflow or via the support portal. JxBrowser 6.15 is Released! Now powered by Chromium 60. 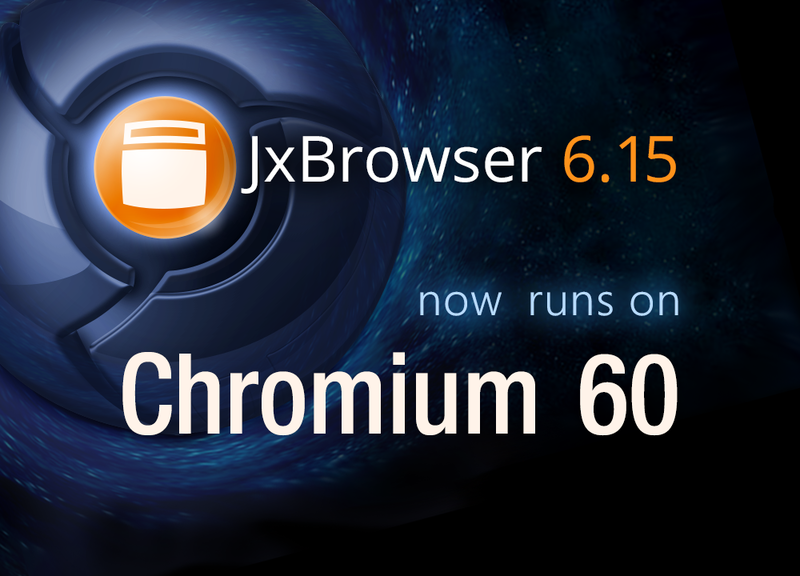 The grand news is here: JxBrowser is now powered by the Chromium engine version 60.0.3112.113! What are the benefits? Let's start with the automatically enabled support of WebGL 2.0. This release also includes several new features like ProxyService, and more zooming options with trackpad on macOS. For the full record of the new features and improvements, please see the Release Notes page. Otherwise, jump right in, and download JxBrowser 6.15 from the product page. We'd love to hear, how the new version is doing. Please share your thoughts and comments under #jxbrowser tag on Stack Overflow or via email.